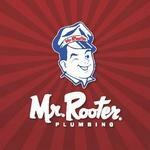 Mr. Rooter Plumbing offers full residential and commercial plumbing services to customers in St. Catharines. The licensed and insured plumbers from Mr. Rooter Plumbing provide St. Catharines customers with such services as: plumbing checkups, video camera inspections, complete drain & sewer services, maintenance products, and HydroScrub. At Mr. Rooter Plumbing & Drains, the highest quality workmanship and parts are guaranteed.